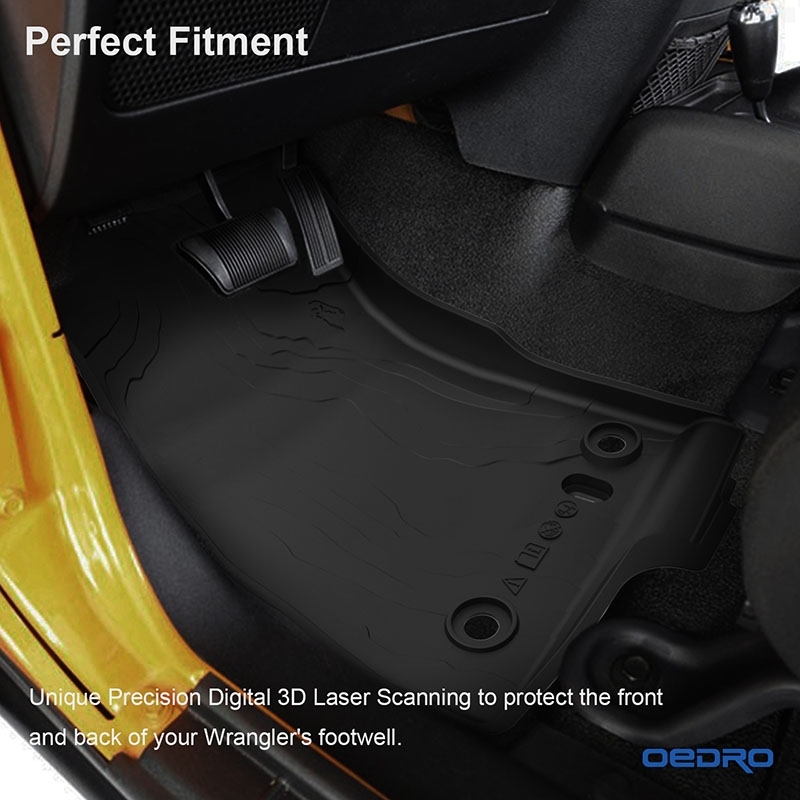 OEDRO All weather floor mats for 2018 Wrangler are back in stock today. Take the chance. OEDRO's all-weather floor mats are laser measured to protect your Jeep's foot-well and carpets. For ultimate strength and dependability, these floor liners feature high-density core materials and are engineered to safeguard your vehicle's interior. If you have any question, please feel free to PM me. 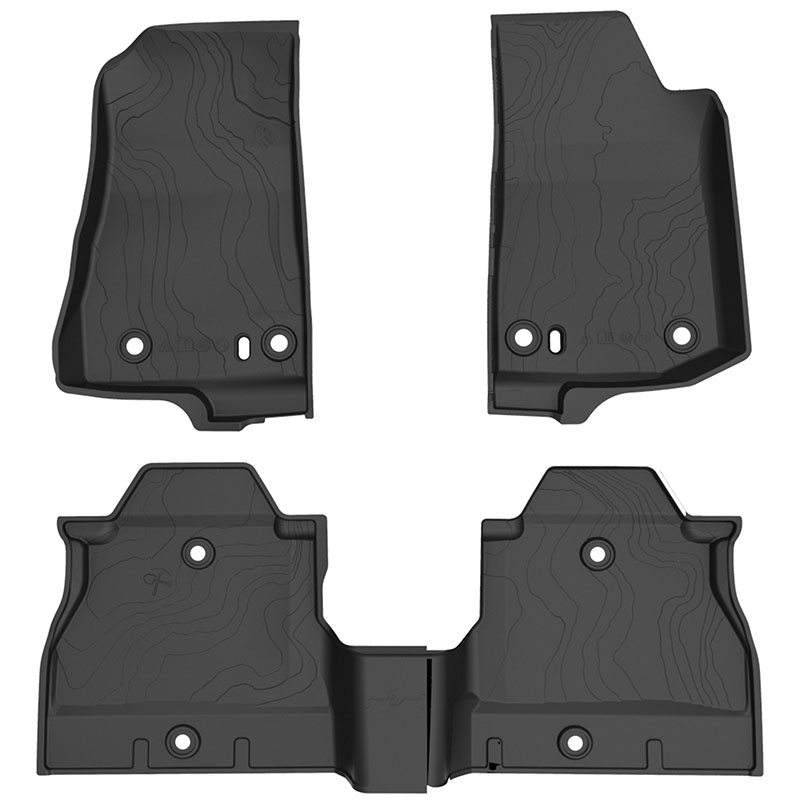 Wrangler 3D floor mats keep your truck like new, Get Now. A small shipment. Take the chance. Why are the JL mats $61.99 from $133.99 and with the forum discount they end up being $55.79. But, the JK mats retail for $115.99 and with the discount still cost more at $62.99? And......the JL mats look like they are designed better, fit better and are better quality. This is the response which you can see makes absolutely no sense. The price different because they are in different activities. I asked and we can't lower price. The price low enough. You will like even at the price. The price depend on the activities，the cost of production, company promotion and other many factors. I've been in business a long time and know how it goes. Bottom line........you are giving JL owners a 53% discount on their mats and JK owners a 40% discount on our mats - not "activities". There are WAY more JKs and JK owners out there than there are JLs. Not smart business. I'm just calling it what it is. JL floor mats are limited time promotion, Thier price must be higher than JK floor mats' once the limited time promotion ended. No thanks. Took the chance on your 7" LED headlights and they were total crap and defective out of the box. No thanks. Took the chance on your 7" LED headlights and they were total crap and defective out of the box. Will buy USA headlights and floor mats as well as every other item I ever buy for my Jeep from here on out, like I did with my suspension, tire carrier and tires. If you have any dissatisfied place, you can contact our customer service to fix that. We committed to customer 100% satisfaction.